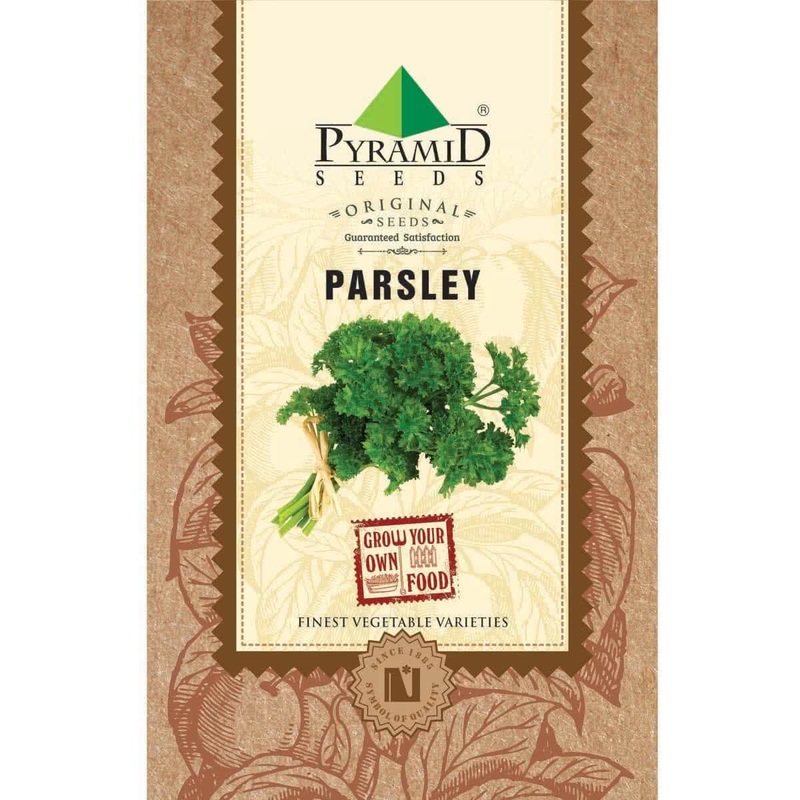 Introduction and Uses: Parsley is a biennial herb that usually grows as an annual in the Indian conditions. The plant features feather-like, bright green leaves and belongs to the same family as dill. 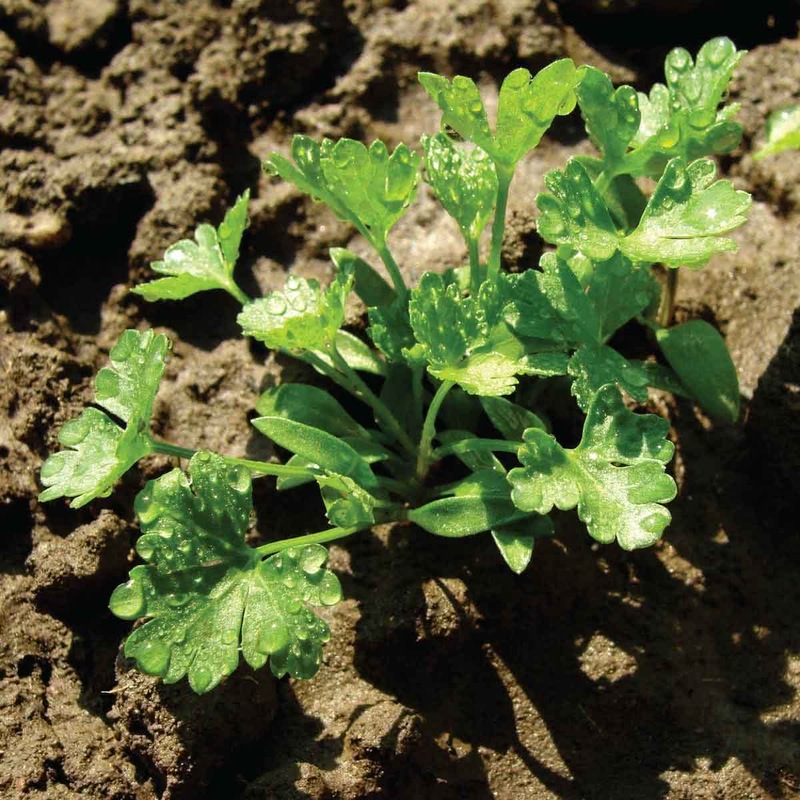 This renowned culinary herb is rich in iron and vitamins A and C and is widely used in sauces, salads, and especially soups because it kerbs the need for salt. Seeds are sown at the beginning of winter season in India by transplantation method. Step 1: Soak seeds in lukewarm water overnight before sowing . Step 2: Sow the seeds indoors, in seedling trays, 0.5 cm deep in coco peat or soilless organic veggie potting mixture. Step 3: Seeds should germinate in 14-21 days. Step 4: Thin out the small, extra, overcrowded seedlings in seedling trays. Step 5: Let the germinated seedlings grow in a seedling tray for 3-4 weeks before transplantation. Step 6: Keep the seedling tray in semi shade while the germinating seedlings grow. Step 7: Transplant the healthy seedlings in pots or yard gardens. Step 8: Use good quality organic potting mixture to grow parsley plant. Keep your Parsley plant in sunny outdoor location for best flavour. The plant does not mind partial sunlight of 3-4 hours. Parsley plant requires regular watering by shower method every alternate day. Harvest the outer leaves by cutting them at the base of the leaf stalk. Harvest the leaves as needed. Always look for the early signs of any insect/fungal infection/ any other infections. Spay appropriate fungicides or pesticides as soon as any symptoms of such diseases are spotted. Watch out for snails & slugs. Spray Neem Oil/Tobacco extract/soap water to keep insects at bay. Click here to buy plant care products online in India. To soothe and cleanse add parsley infusion to bathwater.